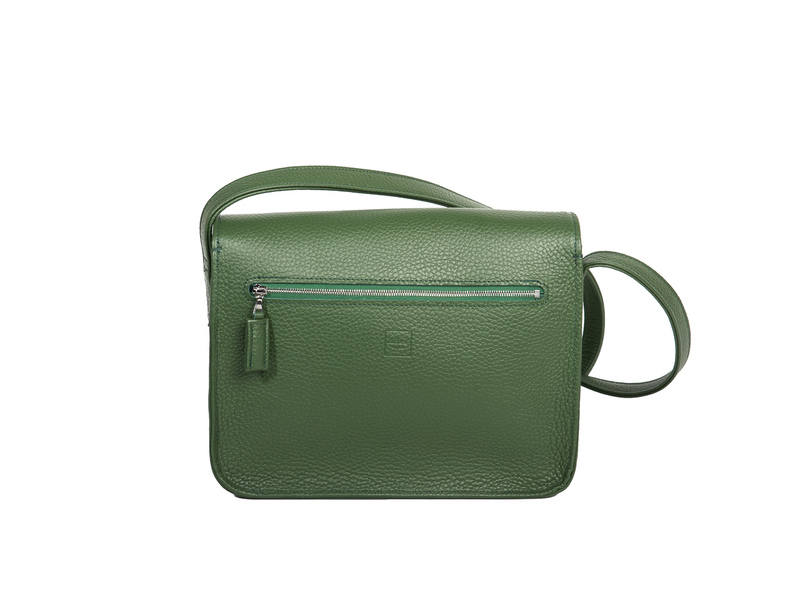 A sporty shoulder bag with a size and form that recalls a hunt bag. 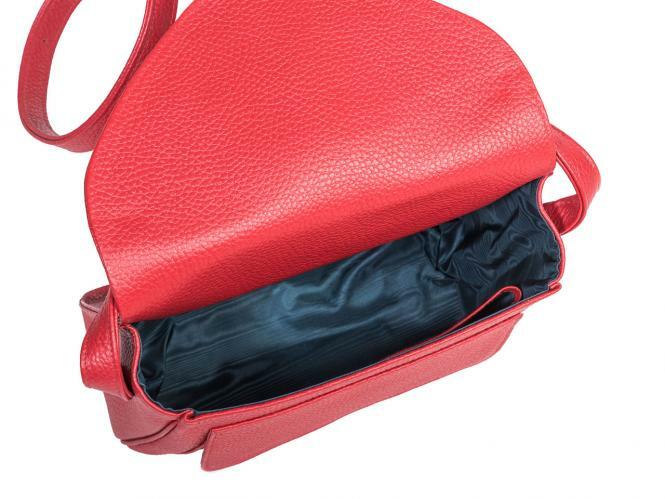 Inside are 2 open pockets for mobile phone, etc. Outside, there is a narrow front pocket with a flap and a practical zippered rear compartment. 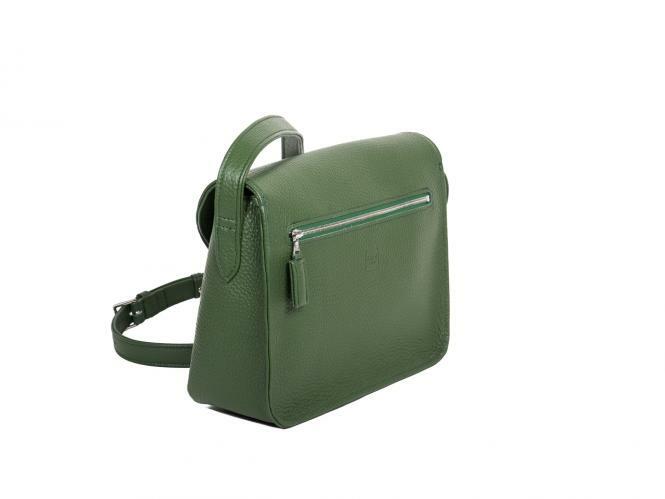 Adjustable leather shoulder strap.